In stock. Order in the next 6 hours, 44 minutes and it will go out today! Are you a true Rubik's Cube fan? Do you wake up under Rubik's Cube sheets in your Rubik's Cube pajamas and immediately solve a few Rubik's Cubes for fun? 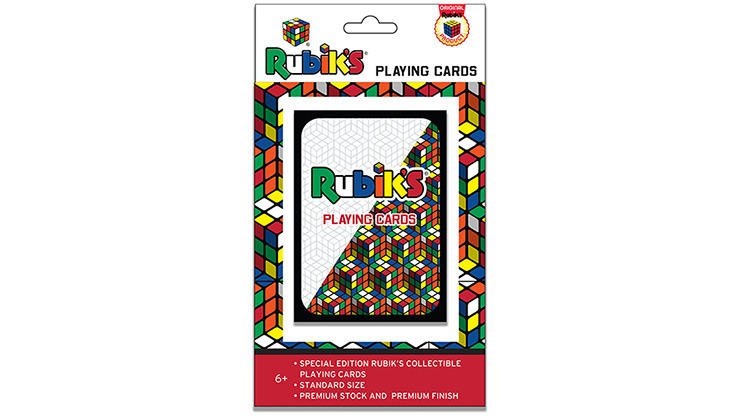 Then you need to get yourself a deck of Rubik's Playing Cards, the latest addition to Fantasma Magic's Rubik's line of products! This deck features a cool Rubik's design on the backs and 2 bonus cards for you magicians. This deck even comes with a secret hidden in plain sight, ready for you to discover. So indulge that love of everything Rubik's and buy your decks today!